Need to Strap Down Your Motorbike, ATV, Boats or just Luggage. 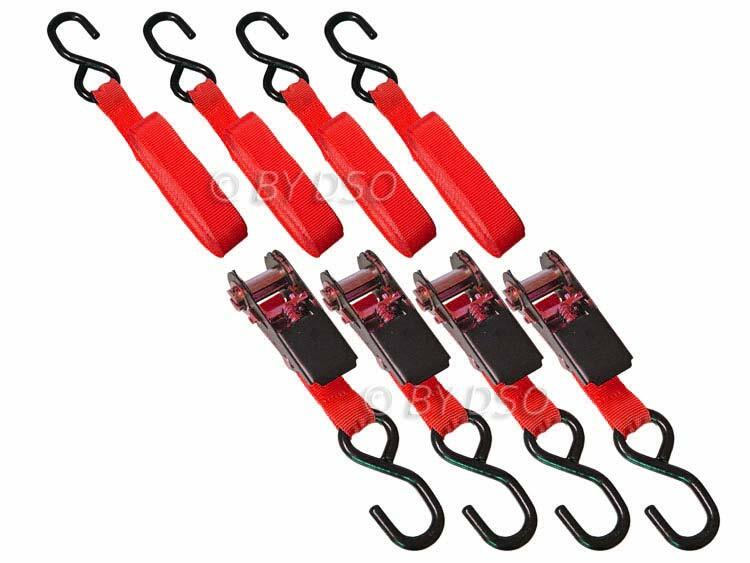 Made of Durable weather resistant nylon webbing for strength and durability, coloured bright red with heat treated steel hooks that have a double coat of vinyl to protect both your vehicle the hooks themselves, these tie down ratchet straps will make most loads safe when going on holiday or moving house. This is a quick and easily solution to the awkward and time consuming method of tying everything down with rope.